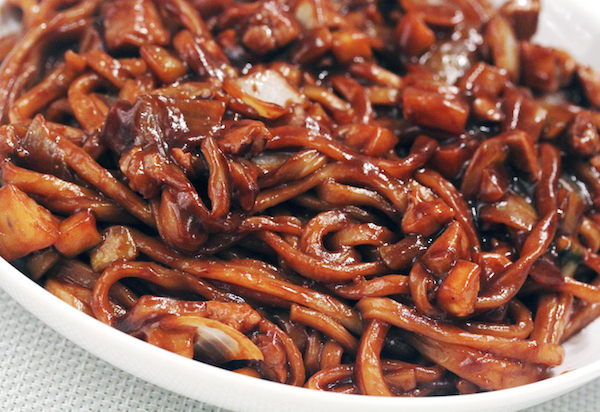 I first learned about Jjajangmyun after seeing it consumed in a number of Korean dramas and it looked so tasty. 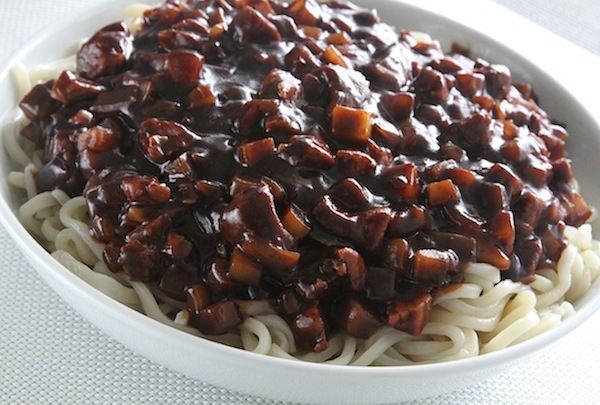 Jjajangmyun is actually an adaptation of Chinese Zha Jiang Mian which literally means "fried sauce noodles". While the preparation is similar, the taste is quite different and both are delicious in their own way. As it usually goes with food that fascinates me, I must try to make it myself and this was quite easy once you get past all the dicing. I found a recipe online and just adapted it to our household's tastes. 1. Cut pork into small cubes, add a couple of sprinkles of salt and mix. 2. Dice onion, potato, zucchini into small cubes. 3. Heat pan and add some oil. 4. Add the pork, stir-fry until lightly golden brown, remove and set aside. 5. Stir-fry the onion, zucchini and potato until softened and remove. 6. Add 1 tbs. 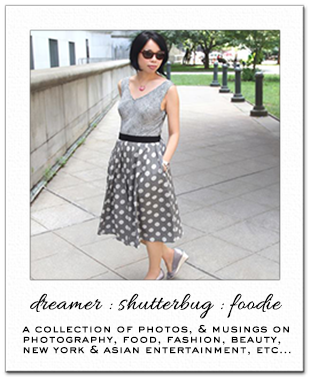 oil and the black bean paste. 7. Fry on medium heat for 1 -2 mins. while stirring continuously to soften and break it up. 8. Add the sugar and mix. 9. Add the meat and vegetables and fold into the sauce. 10. Add water, mix and bring sauce to a boil. 11. Reduce heat, combine the corn starch with 2 tbs. of water, stir through into sauce. 12. Cover and simmer for 10 mins. 13. Noodles should be cooked simultaneously while making sauce, rinsed in cold water and drained. 14. Place noodles in a large plate or bowl and pour sauce over. 14. Mix well and it's ready to eat.